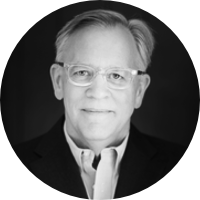 As a leader of leaders, Mark Labberton is wielding his role with wisdom, curiosity, and humility. While the church and the world change rapidly, Mark listens with great intent and uses his position to make sure that voices of truth are heard. Dr. Mark Labberton has served as Fuller Seminary’s fifth president since 2013. His experience includes 30 years of pastoral ministry, 16 of those as senior pastor of First Presbyterian Church of Berkeley, California. Dr. Labberton is a sought after speaker and writer, and has authored numerous books. His most recent book is titled, The Dangerous Act of Loving Your Neighbor: Seeing Others Through the Eyes of Jesus. His new podcast, Conversing, is wonderful. Learn more about it here.